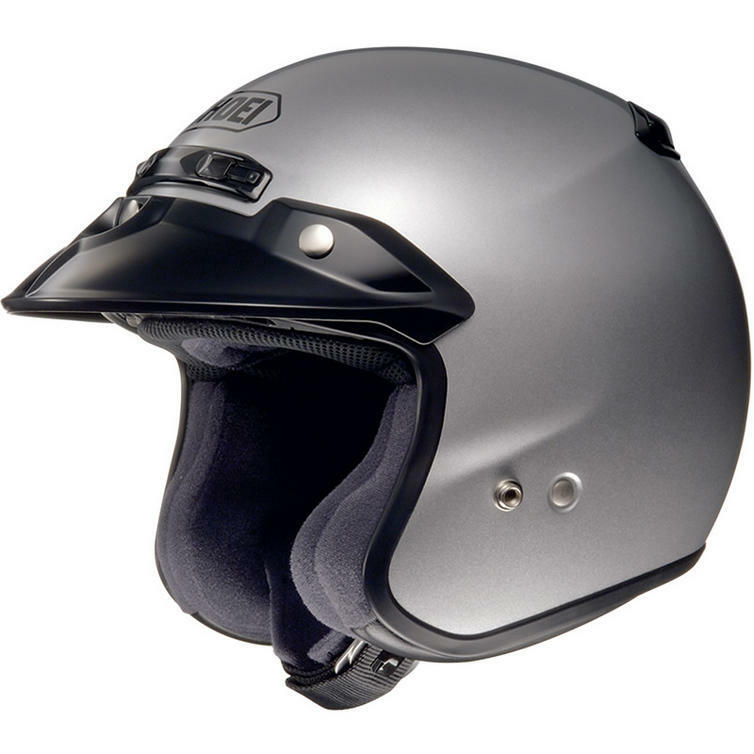 You won't miss anything with the new Shoei RJ Platinum-R Open Face Motorcycle Helmet, and it makes no difference if you?re in urban surroundings or impressive natural landscapes. The RJ Platinum-R's panorama effect takes you into a new dimension of biking. 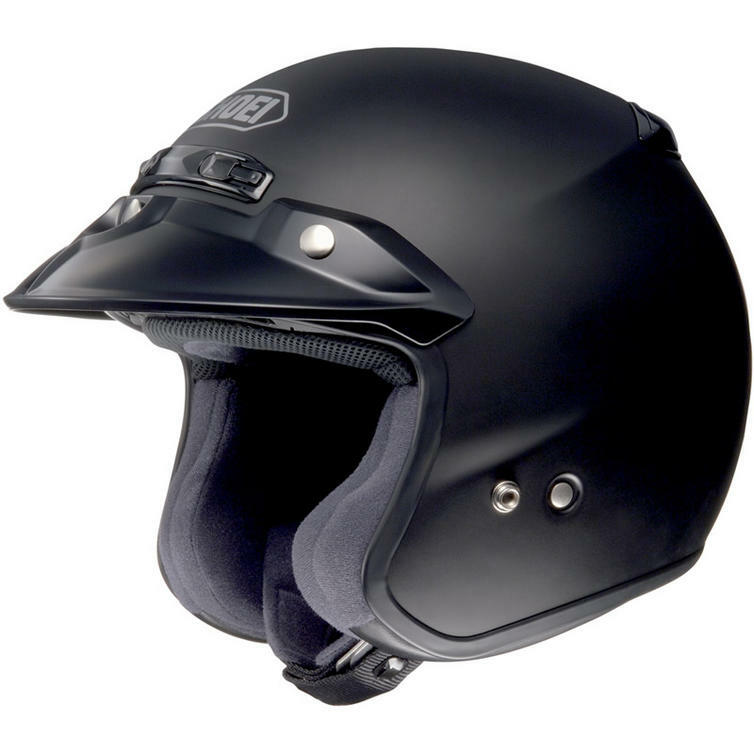 The unique Shoei AIM shell construction helps to keep the helmet down to a low weight whilst maintaining a rigidity that you will not find in any other open face helmet. 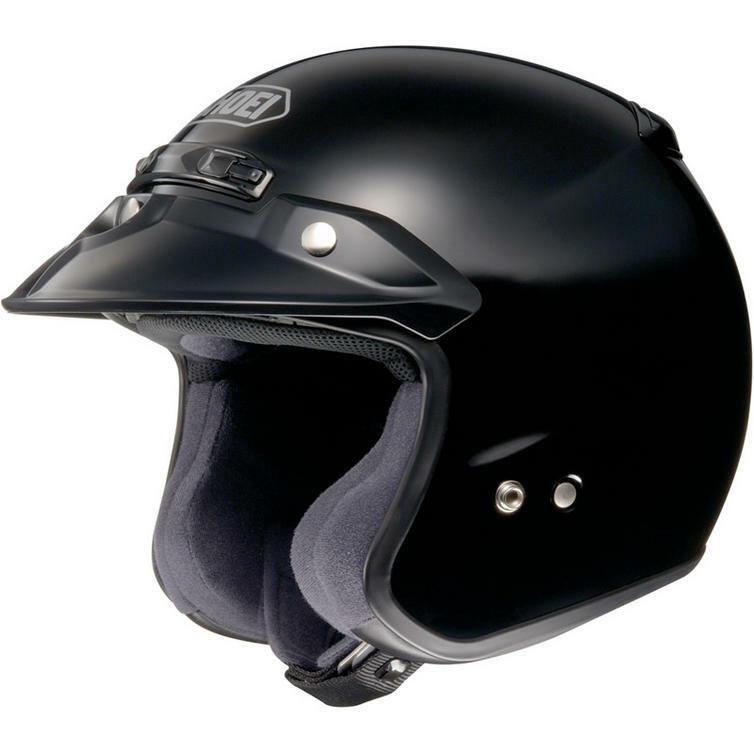 Make sure that you order your Shoei open face motorbike helmet from GhostBikes today! 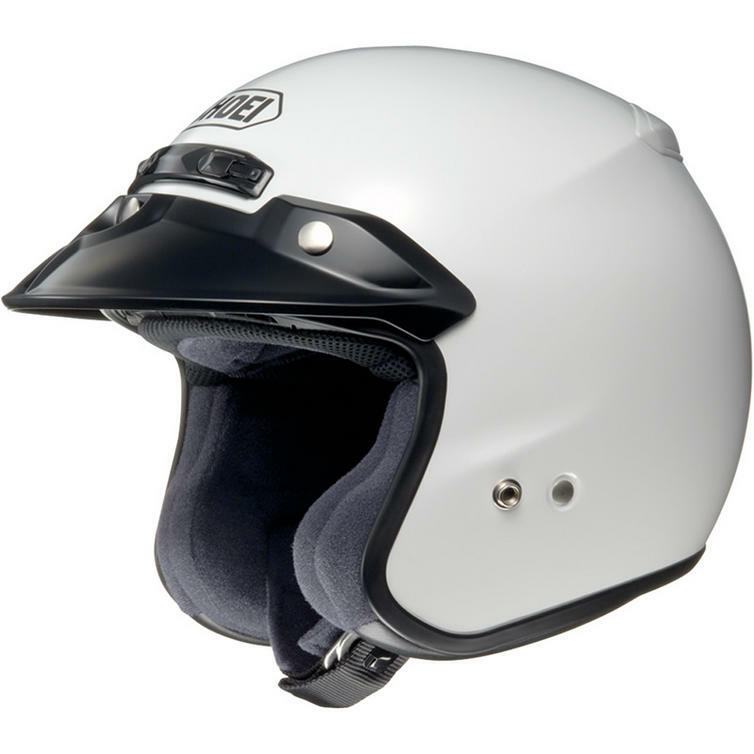 Ghost Bikes now stock a full range of Shoei Motocross and Motorcycle Helmets . Please click here to see what's currently available. 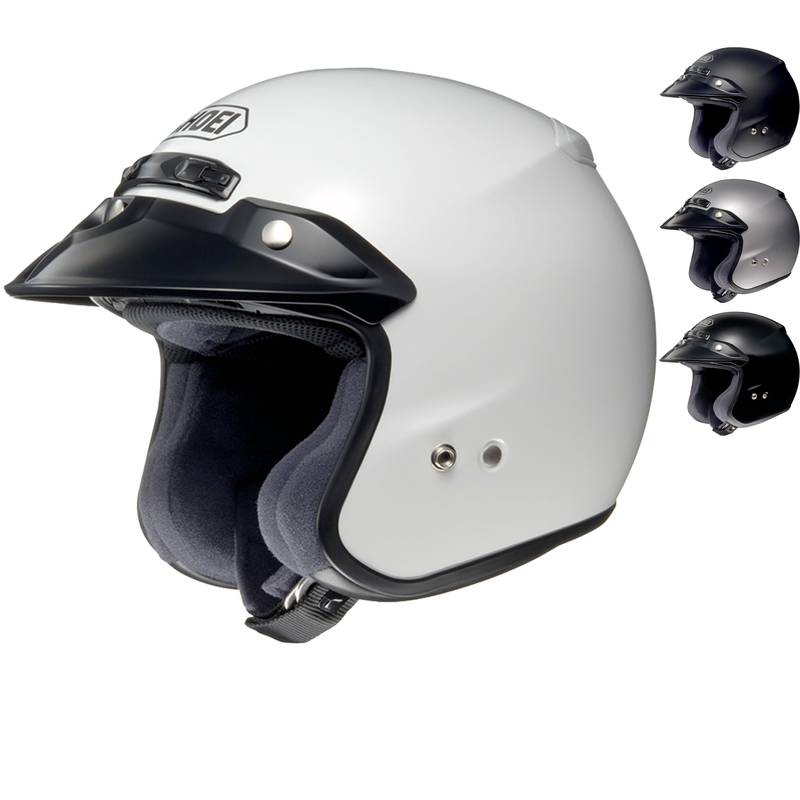 The Shoei RJ Platinum R Plain Motorbike Helmet is packed with features..
2 closable inlet vents and 2 closeable outlet vents integrated in the shell - For fresh air intake and warm air exhaust. Spoiler integrated in the shell - Reduces neck fatigue, even at high speeds, and enables the controlled dissipation of air turbulence. Shoei RJ Platinum-R Open Face Motorcycle Helmets are currently available in the colours shown in the product variation above, if there is no variation option, it will be available in the colours as shown in the pictures above.